Here at WGSU we have a commitment to sustainability and the environment that we take very seriously. If you would like to know more about how to get involved, please contact our Sustainability Officer, one of your full-time Sabbatical Officers, or pop into the Students' Union offices. Join the Sustainability and Fair Trade Society here. You can follow the Sustainabilty Network on Facebook to keep up to date with their latest projects! 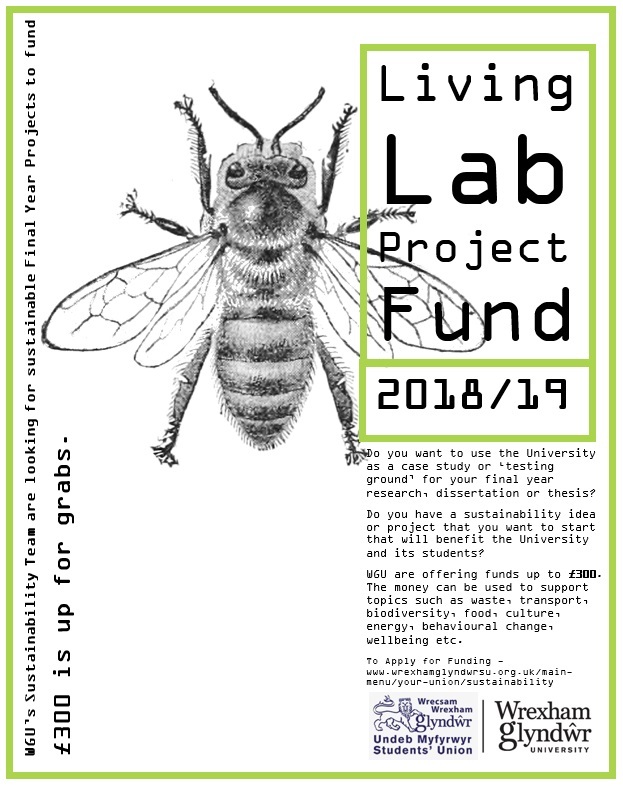 Living Lab Project Fund - A research concept. Using the university as a Living Lab means using your own academic and student research facilities to solve social responsibility and sustainability issues relating to Wrexham Glyndwr University’s infrastructure and practices. WGU's Sustainability Action Working Group are looking for a student living lab project to fund. Apply here for a maximum £300. stAugust 2018, the main campus will follow in their footsteps. Students and Staff are encouraged to supply their own drinking vessel for water from August 2018 onwards. Aramark uses disposable packaging from a company called Vegware. The salad boxes are made from recycled sugar cane containing 99% less carbon than polystyrene. The university has reviewed is recycling practices and are introducing a programme of new recycling points with new bins and graphics to control the waste streams and reduce contamination. Keep an eye out for the new recycling points being introduced this year. For part of Go Green week, 2018 VC Maria Hinfelaar lead a lunchtime bike ride around campus which was reported on in The Leader. Director of Operations Lynda Powell also helped promote and attended Crispin Lane Clean-Up in March 2018. WGU are aiming to keep the involvement from WGU’s top this academic year. Techniquest Glyndŵr was successful in obtaining around £34K of funding to transform a derelict and unused area of ground to the rear of the LEIS building used by the popular Science Centre on the Plas Coch Campus of the University. The space will complement the indoor space of Techniquest Glyndŵr that houses over 75 hands-on interactive science exhibits. Once complete the Science Garden will offer a mixture of planted areas and features such as wheelchair friendly surfacing, raised beds and pond area, a composting area and a number of working exhibits of equipment that will illustrate the primary scientific themes of Biodiversity, Renewable Energy and Recycling. Our Foundation Year students, in all subjects across the University now, are required to complete a module on Contemporary Issues in which they study and discuss topics such as climate change and genetic modification. “Well done, you have provided us with an incredibly detailed set of policies that extensively illustrate your commitment to Fairtrade and the steps put in place to ensure that a high standard of ethical practice is maintained. We are impressed by your motivation and it is great to see the possible collaboration with Wrexham’s Fairtrade group”. We aim to promote Fairtrade at every opportunity and follow the principals of the Fairtrade Foundation. We will continue to run a range of events and activities with Fairtrade being the main focus. Find information on how to get to campus using public transport on our Sustainable Travel page. WGU offers a cycle hire service for use by staff and students to travel between campuses and around Wrexham. There are currently 18 cycles available for hire and can be hired for up to 7 days at a time. Click here to find out more. Huge success this year as 94 students completed the NUS Sustainability Skills Survey in October. Our results show that the respondents were mostly first year undergraduates (41%). The results also show that 58% of students had covered ethical issues linked to their subject and that our students thought it was very important to look at global problems from the perspective of people from around the world. Proud to say we have students who have concerns towards global problems. Next year we'll aim to get even more respondents! 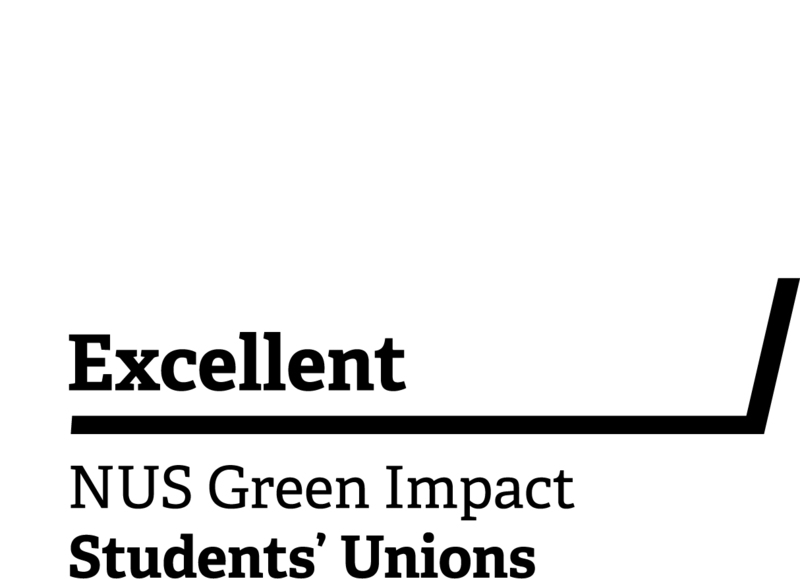 WGSU recieve a 'Good' rating from the NUS Green Impact initiative!! 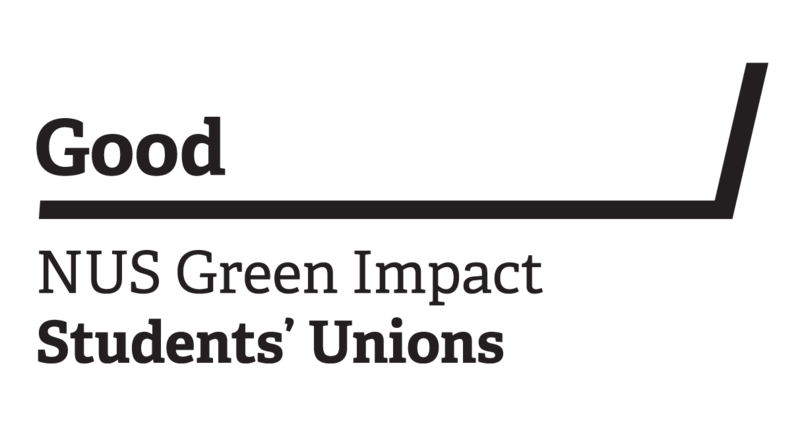 Each year WGSU enters the NUS Green Impact Award in order to demonstrate its commitment to sustainability. This year we were delighted to receive a 'Good' rating. Take a look at the report and see where we make a positive impact. If you have any suggestions on ways we can improve or would like to get involved in anyway, please get in touch! WGSU supported the Sustainability Society in a succsesful bid of £2,000 from the Big Lottery Fund to put on a Big Lunch event in Wrexham town to promote World Peace Day, Food Share and Sustainability. Hundreds from the local community came together for an action packed day at Queens Square, Wrexham. 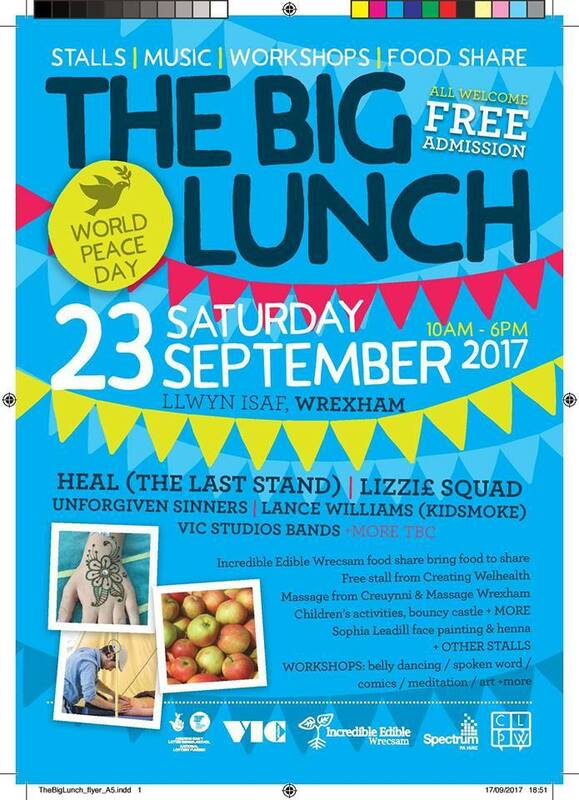 World Peace Day 2017 Big Lunch at Wrexham’s Library green space was a huge success this year! The large number of attendees had the opportunity to try some vegan food, try out some belly dancing, do some yoga, get involved with the amazing work C.L.P.W is doing to promote equality, diversity and inclusion most importantly meet others they wouldn’t normally meet. This wonderful event wouldn’t have took place without the support from Wrexham Glyndwr Students' Union and the National Lottery Fund. Hopefully from this year on, this important event will be held annually to celebrate peace in the town center. Maryam said "The event was a great success in providing the right environment for students and people to meet and celebrate peace together." Wrexham Glyndwr University invests £500 in a brand new SU garden! Wreham Glyndwr University have donated £500 to the Student's Union to build a garden at the fron of the SU building. The garden will grow fresh herbs in order for students to help themselves. The area will compromise of benches, herb patch and flower beds. Maryam, Sustainability officer and third year student said "I am delighted that the University have invested in such an important project. Sustainibility is a high priority for the SU and this garden is the begining of what we hope to be an extended project that will see the side of the SU growing vegetables to provid for the University catering department". The garden is due to be finished by mid October - Watch this space! Our Sustainability Officer, Maryam Riscalla was very inspired after the NUS Sustainability Summit 2017 that as soon as she came back to the SU she discussed the chance of the union removing single use plastic. UPDATE – this motion was discussed at student council and successfully passed! Say goodbye to plastic bags, plastic straws, plastic cups and plastic spikeys from your union! UPDATE: The fun isn’t over yet! 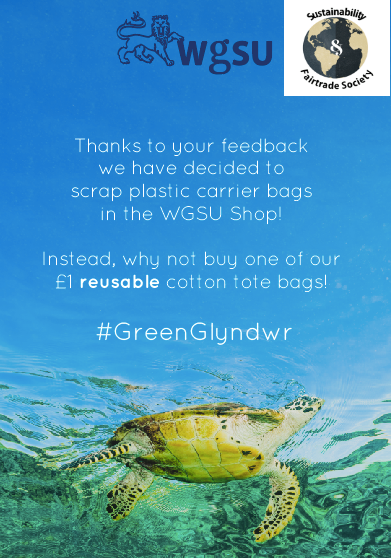 The campaign is still going strong as our Welsh Officer is now on board with tackling plastic pollution at WGSU. Emyr Owen’ motion to remove single use plastic from the university has passed student council and now our president will begin lobbying the university to ditch the plastic and encourage reusables. Aramark will remove plastic cups through recylcing and will introduce reusable mugs and cups in all outlets and will encourage Starbucks and Costa to provide branded mugs. Aramark will remove plastic cups from all conferences booked through them and will now use glass instead. The Grumpy Mules Cafe have developed a 100% biodegradable and recycable take away coffee cup that will be available. Aramark will now lobby the Strabucks and Costa cafe to do the same. Aramark will introduce 100% eco friendly bio degradable coffee mug that contains no plastic to sell to students and staff for £1 and offer a 10p discount every time the mug is used. 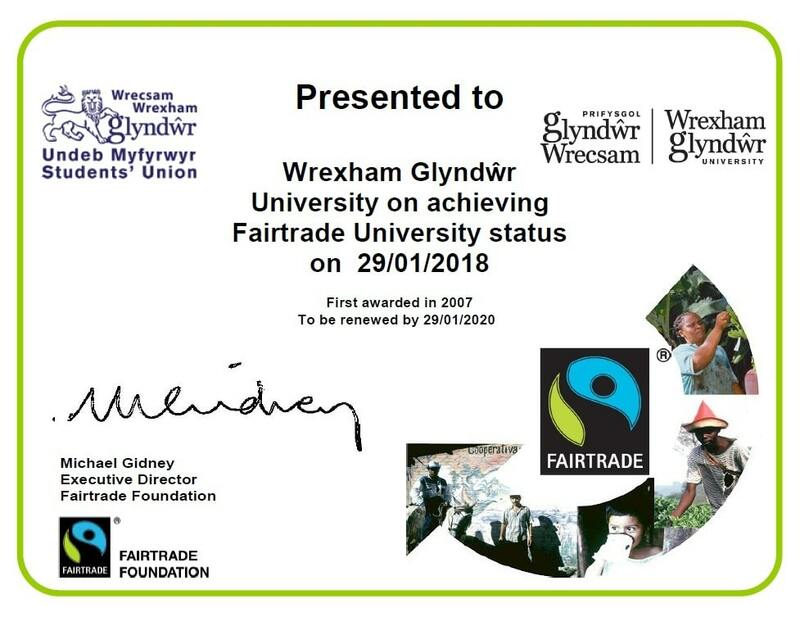 This is a massive achievement for the SU and a huge thanks goes to Maryam Riscalla, the Sustainaility and Fairtrade Society and Travis Davies! We advise all students and staff to use reusable bags, bottles, straws and spikeys which you can use around campus and in the bar. WGSU support the 17 development goals and are supporting the University to ensure that these goals are met within the curriculum. Does the course you are studying cover these? If not raise this with your programme leader or contact the Students' Union Sustainability Officer to support you with this. 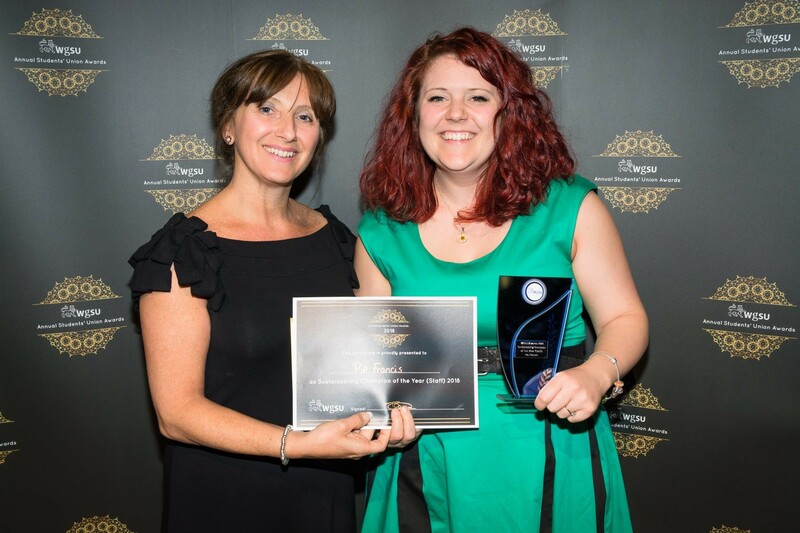 Congratulations to Pip Francis for winning the Sustainability Champion of the year: Staff and to Maryam Riscalla for the student award. 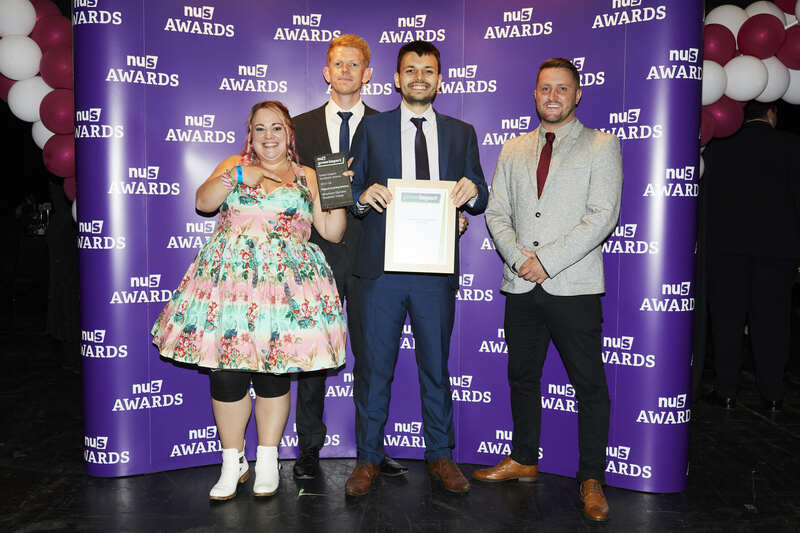 Both have worked extremely hard this year on gaining Fair Trade Status for the Univeristy, increased People and Planet accreditatiopn and NUS' Green impact accreditation. 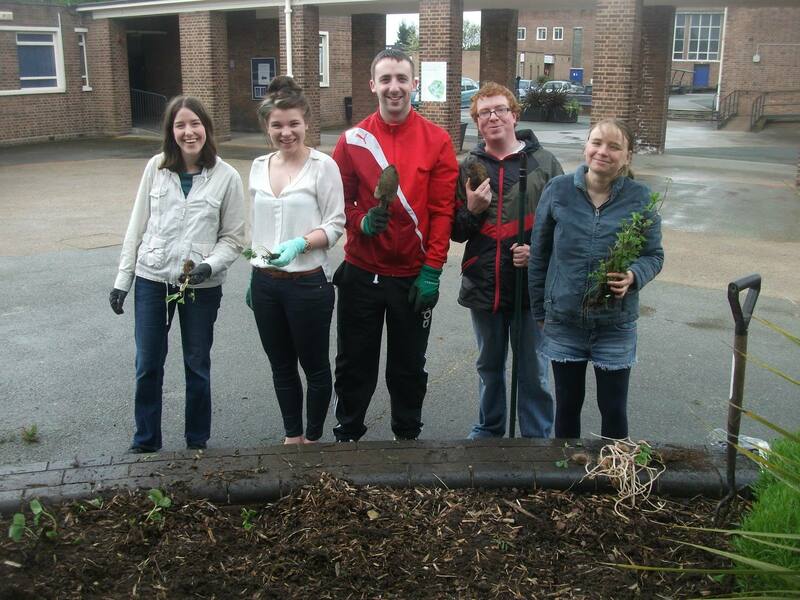 You can join in on regular community workdays - these are: First Sunday of the Month at 2pm: Mount Street. Second Monday of the Month at 6pm: Madeira Hill. You can also contact the group on Facebook to arrange volunteering worktimes outside of these times at these sites or at the other sites (or at sites you have discovered to work with - they can provide some assistance with this too). 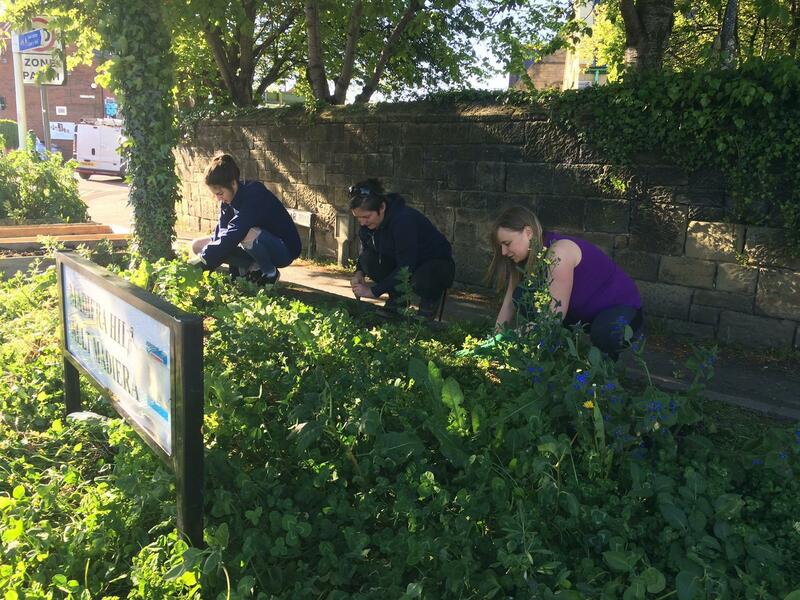 Below are some pictures of our Sustainability Society and Incredible Edible planting around the town centre. You can also watch the group, and previous members of the society explain more by clicking here. The video also shows Incredible Edible planting at Wrexham Glyndwr University. In conjunction with the Sustainability and Fair Trade Society and the WGSU Sustainability Action Working Group we have set out targets that we would like to achieve in the year ahead. Take a look and let us know if you think we should be working on other areas of sustainability. 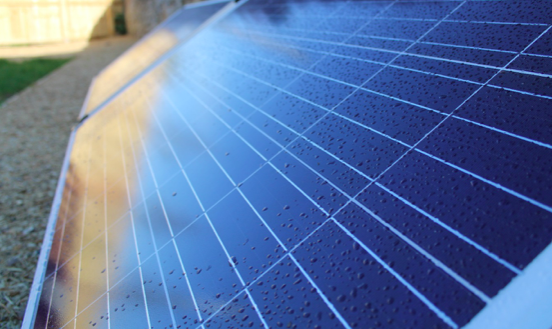 As part of the Union’s ongoing commitment to the environment, this plan has been created to outline various targets that should be achieved within set timeframes. Click Here to view the action plan. The action plan has been updated to reflect various achievements to date. These include the University recieving Fair Trade status, working more within the community and the completion of a University wide paper policy. 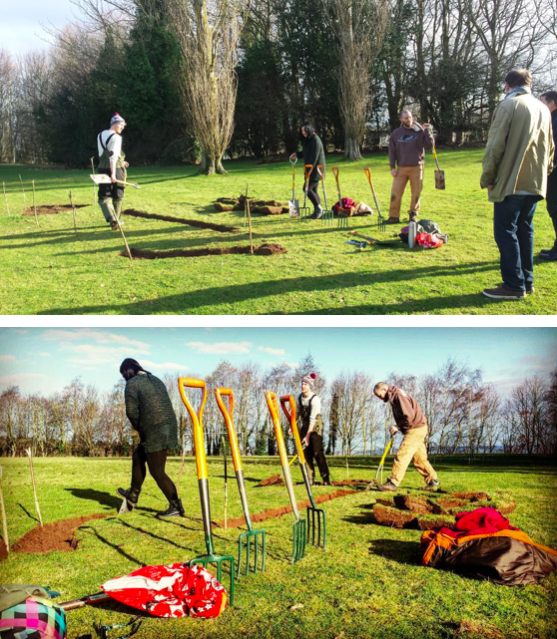 Our Sustainability Society have been busy planting fruit trees and vegetable patches on campus. Students are welcome to help themselves for FREE! The Students' Union would like to thank the society for their hard work and upkeep of the patches. WGSU are giving full support to the university in its efforts in striving to become a more Sustainable, Fairtrade University. We aim to promote Fairtrade at every opportunity and follow the principals of the Fairtrade Foundation. WGSU are committed to offering Fairtrade products wherever possible. The University offers Fairtrade products in all catering outlets, and Fairtrade and local produce are important to Aramarc who are soon to become the university’s new caterers. 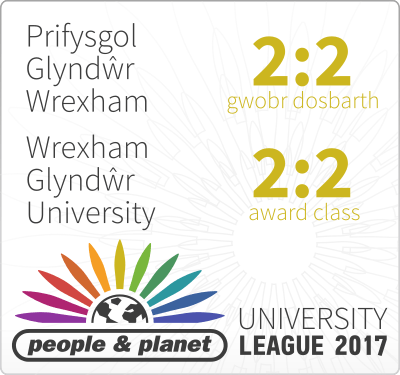 Wrexham Glyndwr University soared almost 50 places up the rankings of a prestigious green league table. 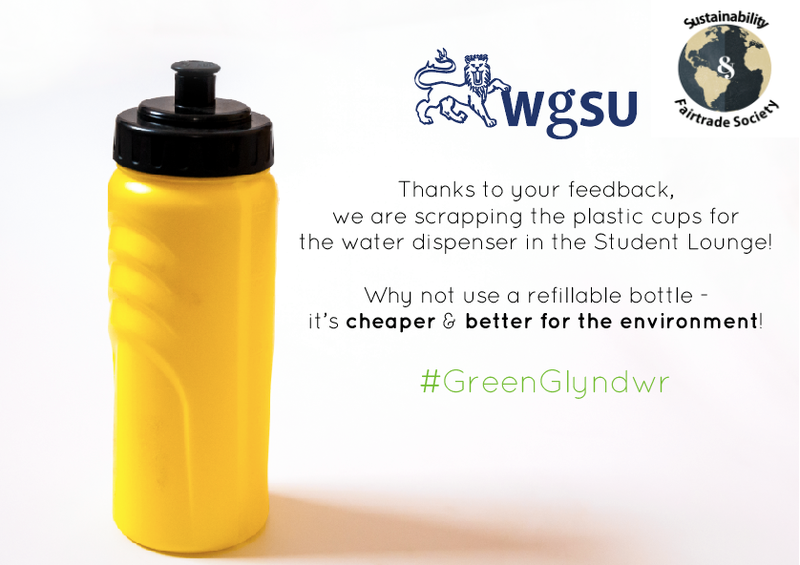 WGSU would like to thank all the students who took part in our sustainability survey which opened back in February 2018. The results have been analyzed and WGSU representatives will feed this into the University's Sustainability Forum as well as the Union's monitoring and evaluation processes. Please Click Here to view an analysis of the results. WGSU would like to thank all the students who took part in our sustainability survey which opened back in February 2017. The results have been analyzed and WGSU representatives will feed this into the University's Sustainability Forum as well as the Union's monitoring and evaluation processes. Please Click Here to view an analysis of the results. Nobody is perfect, not even us and so we have identified the negative environmental impacts that we have as a Students’ Union, to help us develop and improve these in the future. Some are beyond our control (for example, the building we are in), however, there are some that we can make a difference in. You can read this report, here. 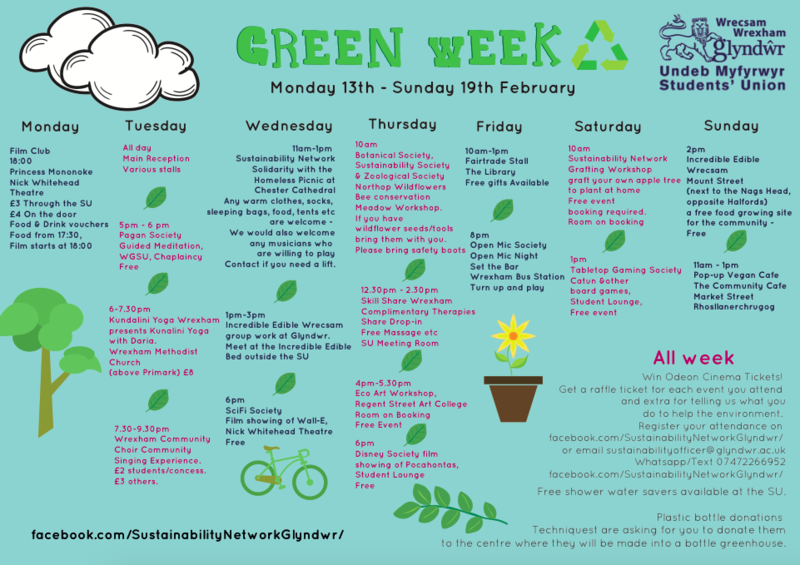 Our Green Week, organised by the Sustainability Society and the Sustainability Network Glyndwr (along with collaborations from many of our other societies and teams) was a great success! The events were well attended by staff and students alike and hundreds of timers and shower water reducers were given out to encourage everyone to make a small change in their own daily lives. 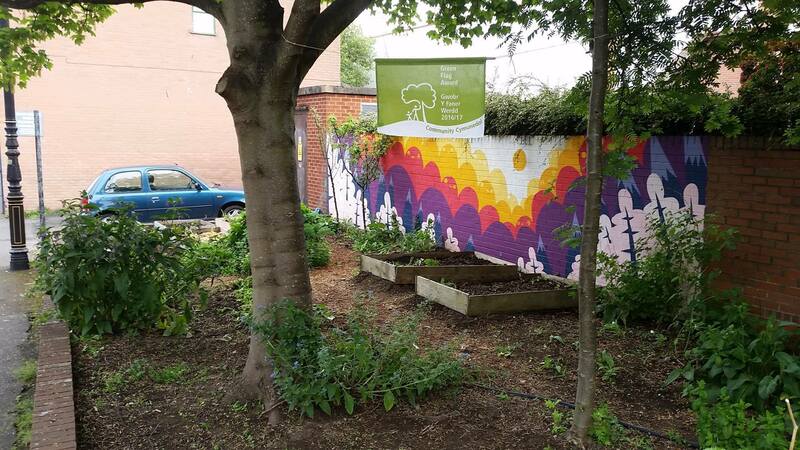 The week aimed to make sustainability fun and accessible for all and had workshops around eco art, grafting your own apple trees and bee conservation. There were skill shares and food-based events and we are looking forward to having an even bigger Green Week next year - watch this space! If you want to tell us about what you're doing for the planet, please use the #greenglyndwr.